While August was all about being in control, September was about acceptance and letting go. Even though it passed in a blink, September was a very good month in terms of both professional and personal life. Work kept me busy and I was able to sail through without much stress. August helped me plan my time better and I found a lot of peaceful me time this month. I've come to realize one thing. Without having some time for myself every single day, I get really cranky, angry and moody. I love my husband and my friends, but I need at least an hour to myself every single day without talking to anyone. I get this time once I'm back home from work and just before the husband returns. During this time, I usually read. Reading with a cup of tea in my hand relaxes me and sets my mind free. It gives me so much peace that I cannot put it into words. If I'm not reading, I'd do something creative. I either draw/sketch something, or design/stitch something. Depending on the time I have, I plan my activities. But I just cannot sit idle. I've seen my neighbor who is a housewife sit and stare into oblivion in the balcony. I cannot do that. Don't get me wrong, I do love to look at the stars and the skies and all the beauty around that mother nature has to offer. But I cannot do it endlessly. I need to be occupied, my mind needs to be occupied. Thankfully, I have quite a lot of interests that keep me busy. When the husband calls me to say that he's leaving work, I step into the kitchen to make dinner. Since I love cooking, this doesn't seem like a chore to me. But yes, at days when the monotony strikes, I despise looking at the kitchen. Earlier, I used to ignore it and just do what has to be done. These days, I've learn to let go and just order in or go out instead. I don't force myself to be the perfect wife or feel the need to do everything around the house anymore. September was the husband's birthday month and I was terribly busy with the planning. As much as I love accepting and giving materialistic gifts, I also like some personalizing. I love giving handmade gifts to my loved ones along with some thing that they have always wanted. Cal has recently discovered his love for graphic novels and I made sure he got the best of them. I usually plan a gift a day until the birthday. While it does take a toll on me, the planning and execution, the end result is always worth it. While some days were about the materialistic gifts, others were about handmade stuff. On the days when I had the time, I made him special dinners and desserts at home. Right from hummus to chocolate fudge, I tried them all and thankfully it all came out really well. When you put in a lot of effort and love, it does turn out to be good. This time, I wanted to ditch the traditional birthday cake and decided to bake something else for the big day. So I made a batch of Lamingtons and stacked them up around a candle. It looked good, tasted delicious and the husband loved it. Finally, all the planning, execution and the surprises came together beautifully. Since time management continued to be good, I could plan many of the things in advance. The first half of the month went in birthday planning, leaving me with hardly any time to read. Once I was done with the birthday rush, I slowly stepped back into reading. 'Purple Hibiscus' was a birthday gift for me from one of my besties and since I had heard only good reviews about it, I decided to start the monthly reading with this one. I took my time with it and fell in love with the simple writing. I'll do a detailed review on it soon. Then I read two graphic novels back to back. I started with the two volume set of Neil Gaiman's 'The Graveyard Book'. The actual novel was a part of my TBR list for way too long. When I found the graphic versions of them, I jumped in and bought it. I loved the concept, the execution and the illustrations. And Silas. He reminded me so much of Professor Snape, maybe it was that long black cloak. Whatever it was, I was in love. 'V for Vendetta' is what I read next. Loved every bit of it. It took me sometime to understand the story and I kept going back to check and confirm time and again, but when I finally got the hang of it, it was beyond brilliant. I haven't watched the movie yet, but once Cal is done with the book we'll watch it together. I loved the character of Evie Hammond the most. Next, I wanted to read something light so I went back to my comfort author - Agatha Christie. 'The Mysterious Affair At Styles' was complex, well woven and unpredictable. When Poirot is around, everything does fall into place the right way. When 'The Handmaid's Tale' and 'Big Little Lies' won big at the Emmys, I bought their respective books and started reading 'The Handmaid's Tale' as soon as it arrived. It wasn't an easy read and I just finished reading it yesterday. I'll do a detailed review of this one too. Turns out I'm 6 books ahead in my reading challenge as I've read 43 out of the 50 books that I had planned for this year. Since I included quite a lot of comics, YA fiction as well as short stories, it was easier to get ahead. Hence, I'm not taking much pride. While reading was good, writing wasn't bad either. 8 posts a month is decent enough, I guess. I finally wrote poetry after a long time and it felt good. Two book reviews a month is what I usually plan irrespective of how many ever books that I read. This target I met easily. But the highlight in writing has to be the post that has been really close to my heart and something that I have been wanting to write since ages, the straightforward one. I finally put in everything that I had to say in that one post and I'm glad it came out well. I've decided to stick to this pace of writing now. I've let go of numbers, targets, followers and everything else. I just write as and when I have something to say. It works well for my sanity. The highlight of September would be the fact that I turned off all the notifications on my phone. Thanks to the latest iOS11 update, it was impossible to clear all the notifications at one go like it was earlier. I have an OCD where my blood boils when I see unread notifications/mails/messages. When a friend suggested that I turn off the notifications, I thought to try it for a while. While I'm not addicted to my phone, I do check the notifications and sometime FOMO does kick in. But this time I decided to let go and it turned out to be one of the best decisions of my life. I leave home with 100% charge on my phone and return in the evening with more than 80% charge intact without any charging in between. This has made me more productive and I'm in control of what I want to check or not check online now. September taught me a lot. Patience, how to let go and most importantly, self love. I think we women neglect ourselves often in the busy routine of life. The frantic need to do everything ourselves more often than not takes us down most of the time. We need to let go once in a while too and just sit down and breathe. Yes, we are multitaskers, but there is only so much one can do. Accept that and sit back and enjoy once in a while. As to the graphic novels, both were excellent choices. V for Vendetta makes a good movie and has some awesome moments but as always, I prefer the book here. V for Vendetta was brilliant, can't wait to watch the movie and make comparisons. Waiting for your review on Handmaid's Tale as I plan to get the book. I read Big little Lies and loved it. Next is to read Neil Gaiman. I have not yet got his books but love reading his posts. I will be reviewing it soon Latha. Maybe next I'll read Big Little Lies. Good to hear about your September, Soumya. In a way, it was a month of letting go for me as well. I've removed all notifications from my phone and it is a huge blessing. I login when I want to and not because of some silly ping.Good to hear about your reading. I enjoy gifting as well as cooking to celebrate birthdays so I completely get what you mean. 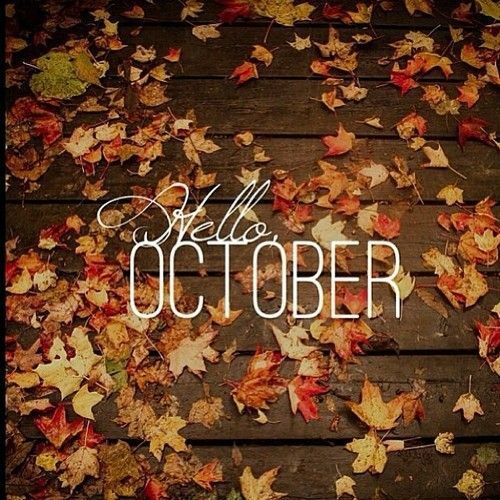 Here's to me time and a great October. I'm picking up Big Little Lies next and I'm off to check your blog for the review now.